They may be far apart geographically, but they're very close when it comes to their shared passions for food, design and DIY. 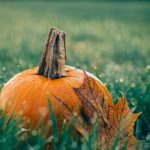 Happy Fall & Spiced Pumpkin Coffee Creamer! 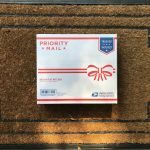 What’s In Your Priority Mail Box? Enter your email address to subscribe to 803 Miles and receive notifications of new posts by email.